Is Your House Ready for Back-to-School? As summer starts to come to a close, we have to confront the task of getting the kids and the house ready for back-to-school. We have to begrudgingly get reacquainted with the way-too-early alarm clock buzzing and the crazy commotion of the morning routine. Here are a few ways you can prepare your home and yourself to make the transition a smooth one. Make a homework station. Create a space where you and your child can work side by side. They can learn from your good work habits and can easily ask for help whenever they get stuck. Plus, you can get a jump on your own work or something fun like booking a family vacation. 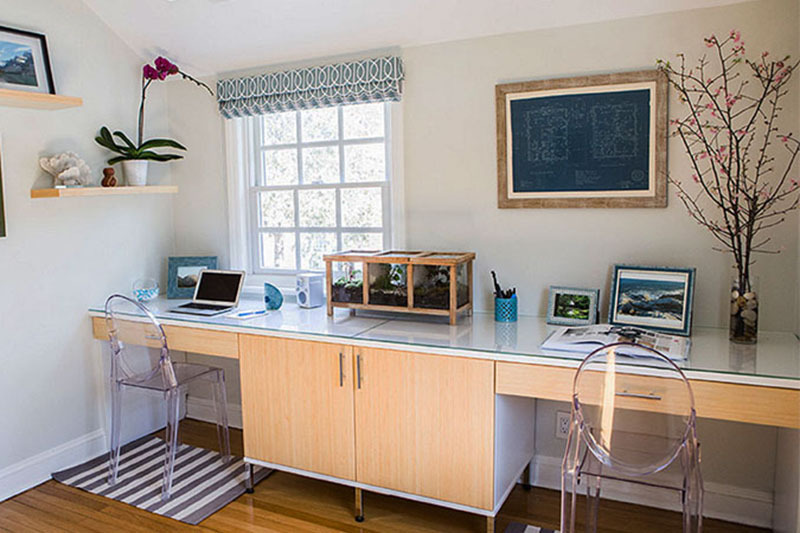 The homework station is also a great place to keep the kids organized and on task. Make a daily schedule with your child, start them on a calendar and have a designated drawer where they can organize their papers. Teaching them these important time management and organization skills will help set them up to succeed in school. Be sure to include a storage element in the homework station as well to neatly organize the kid’s school supplies. Most importantly, don’t forget to leave a space to display the kids’ latest artwork and academic achievements. Get the closet to do the work for you. 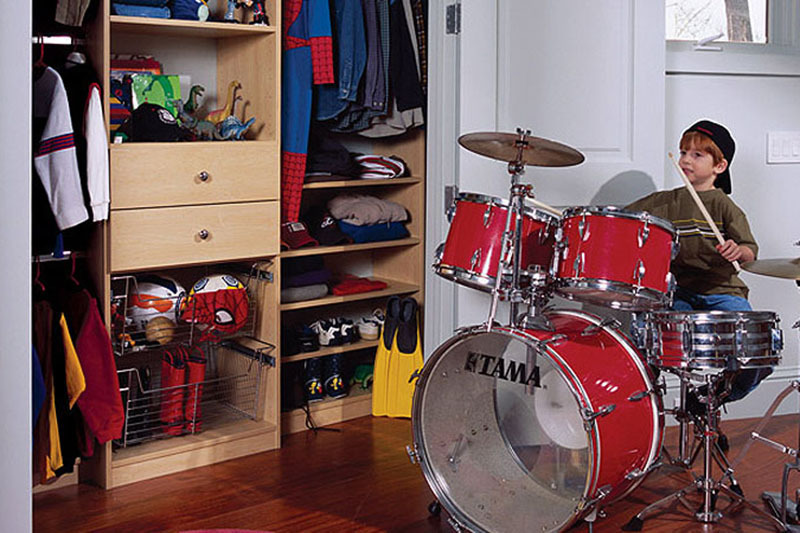 Having a well-equipped closet can go a long way toward limiting the craziness of getting the kids dressed in the morning. Create a hanging section with matching items that your child can pick from. They will feel good about choosing their own outfits and will look good wearing them too. Giving the kids the tools to help themselves in the morning will save you a lot of time and stress. The closet is also a great opportunity to instill the good habit of putting things away, so those nice, new back-to-school outfits can stay off the floor and make it through the school year. Turn your pantry into a lunch packing station. Get rid of the mad morning dash to prepare lunches and make it easy to pack healthy meals. 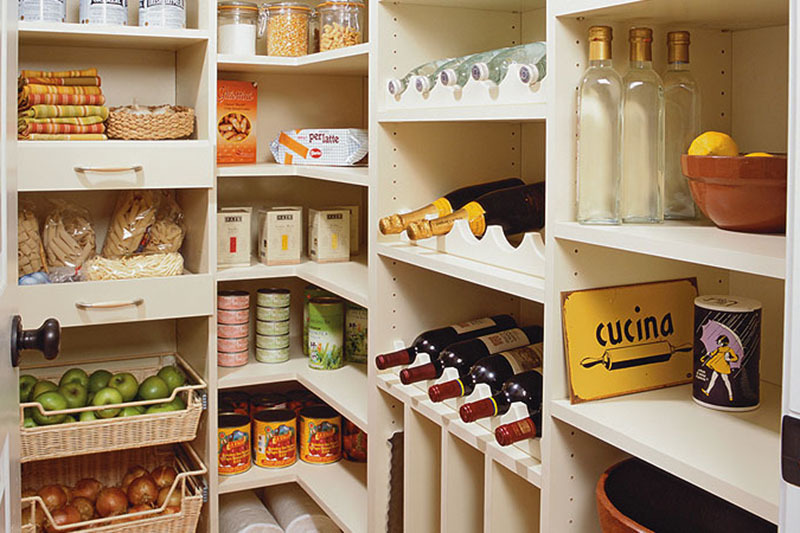 Dedicate a shelf or drawer in the pantry to lunch supplies, so everything is one central place. Also keep your tupperware, lunch bags, and other items for packing up lunch in a convenient place close by. Fill your lunch shelf with healthy options like granola bars and have a basket of fresh fruits nearby. Surrounding yourself with healthy options will lead to healthy choices for your kids. This same strategy is great for breakfast too. Try making a breakfast drawer or shelf as well if you still want to cut down your morning prep times. Put checklists in the mudroom. Parents on the run know how easy it is to forget something, and that goes double for a busy child. Take the guesswork out of preparedness by putting a family bulletin board and a morning checklist at the front door. You can even customize the checklist for each weekday to cover after school activities and alternating classes like art and band. Then you can be 100% sure your little student will have everything they need. Organize your home’s entryway into designated areas for sports gear and instruments so it’s easy to find everything when you are rushing out the door. The mudroom is also great for the necessary accessories like hats and gloves that come with fall and winter weather. We’ve all experienced the way the weather and the temperature in the lower Hudson Valley can change quickly and it's wise to keep a variety of weather wear at the door, ready to go. Designated areas for each child’s rain gear, boots and jackets will keep the entryway uncluttered and help the kids easily find their things. transFORM designs, manufactures and installs custom closets, home offices, wall units, and a variety of cabinetry that maximizes your storage and beautifies your home. To schedule a free in home consultation visit transformhome.com or call (914) 500-1000. Is Your House Ready for Back To School?